Three days before our Manila arrival, we tried to book seats for Ohayami Bus which offers a direct trip to Banaue, but unfortunately all tickets were sold out fast—a common issue if you travel on holidays. Our next option was via Baguio. But things didn’t go as planned. Our flight to Manila was delayed for hours and this ruined the itinerary we laid out. It was compounded with Manila’s heavy traffic and jam-packed bus terminals, leaving us with limited time to enjoy Banaue. After an hour of waiting in line for a taxi in NAIA, there was a heavy traffic on the way to Victory Liner Bus Terminal in Pasay and we arrived almost midnight only to discover a looong waiting line for Baguio-bound buses. To say it was a total headache would not be an overstatement. It was a Friday and it was a holiday. It looked like everyone wants a breath of fresh air over a long weekend. There was a long queue of chance passengers like us who weren’t able to book ahead for the trip. We took a non-direct trip using this route: Manila > Dau > Baguio > Banaue. We decided to do this instead of getting bored restlessly waiting for a Baguio-bound bus ride which may take until morning judging from the number of passengers present in the bus station that time. Now that we’re able to reach Baguio, we got unlucky again. We’re not able to catch the 9am Banaue-bound bus trip. So we stayed in Baguio for about 10 hours. And since we didn’t get enough sleep while on board the night bus, we took a power nap a after our quick and healthy breakfast at a budget hostel. Gladly, our energy level was reset after getting some sleep and so we did a bit of a walking tour in the city’s central district. I won’t share about it here since we’re only killing time and just waiting for the evening to come so we can hop on another overnight bus ride stationed near Burnham Park. Again, we spent all night getting a disrupted sleep onboard a deluxe bus. It was almost six in the morning when we arrived in Banaue. Our day in the mountain province went by so fast. It was packed with sightseeing activities via customized tricycle tour. We’re grateful to witness what this countryside can offer within just a day, in less than 24 hours. 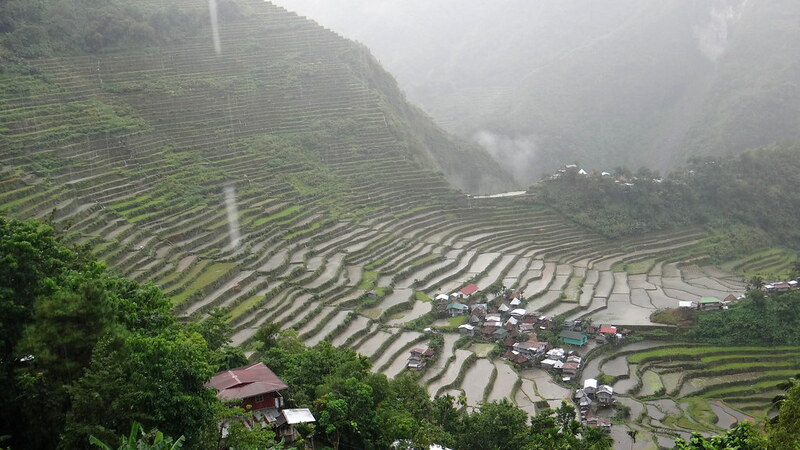 Philippine Cordilleras has 5 terraces enlisted in UNESCO World Heritage Sites. 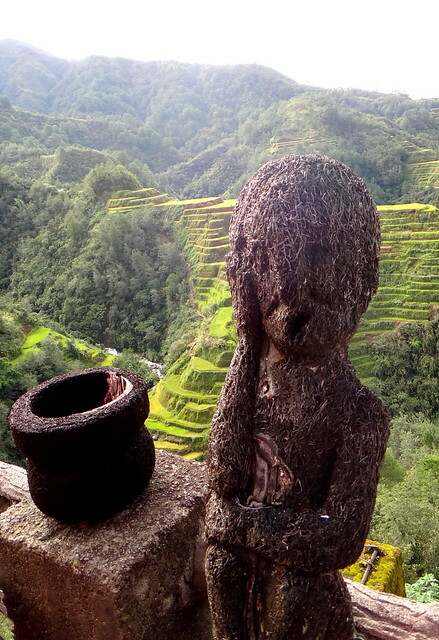 Two are found in Banaue: Bangaan Rice Terraces and Batad Rice Terraces. 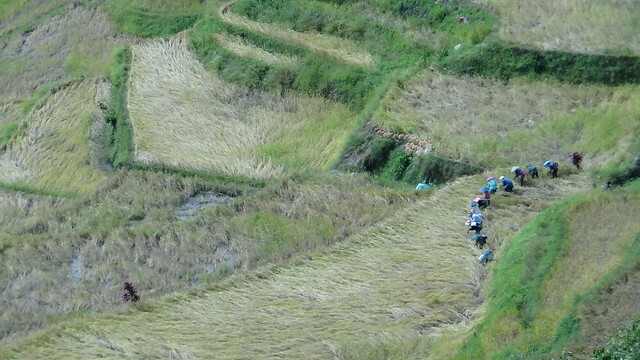 Both require some easy hiking to witness its magnificent paddy fields. Also in the list is Mayoyao Rice Terraces which is accessible and can be squeezed in the day tour because of its proximity from Banaue Terraces. The other two gorgeous terraces are Hungduan Rice Terraces and Nagacadan Rice Terraces (in Kiangan) which we weren’t able to visit with our limited time. With the onset of the planting season, Banaue is looking fabulous with some parts of the terraces sporting golden green. Although the most beautiful to photograph among the terraces, Banaue Rice Terraces is NOT enlisted in UNESCO World Heritage Sites because of its surrounding modern structures. The fact that the terraces are hand-built two millennia ago using primitive tools is awe-inspiring. It is truly an irreplaceable cultural and natural treasure in the country, a product of engineering ingenuity by highland people in far-flung villages without any colonial infiltration. We’ve all read this in our history textbook back in grade school days and been seeing it in our 20 peso bill notes. This popular tourist destination is known for its dramatic landscape of stone-walled terraces and greatly admired for its sustainable use of the natural resources. Until today modern Ifugaos still practice organic farming which does not only bring food to their family table but also help generate a bulk of the town’s income from its tourism, which in turn helps fund conservation and farming projects for the terraces. However, researchers found out that tourism does not directly impact the income of the farmers themselves but rather those who own inns or homestays and the tour guides. One of the guides whose family own a farm land doesn’t want to be a full-time farmer himself because it is hard work. Being a guide lets him get a decent income. But during low-season for tourists, he helps in the farm. To fully enjoy the countryside and to find some peace and quiet, we intentionally didn’t visit during the “green season”. We want to avoid the flock of tourists who all want to marvel at the verdant rice fields when the crops are in the middle of growing. So we came to Batad during the “brown season” —the time of the year the farmers just finished harvesting, they already cleaned the fields and they are about to start planting. Banaue. It can be visited any time of the year. However, if you want to catch the terraces during planting season, go between February and March or during harvest season between June and July. Batad. The paddy fields in Batad are verdant green starting March to May when the rice are growing and also between October and November. 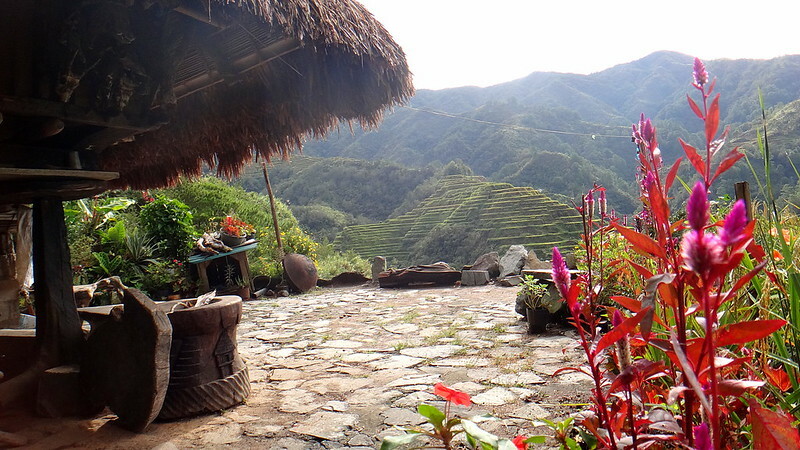 Batad is only 21km away from the Banaue, around 40 minutes ride from the town center. If you want to avoid the crowd, don’t visit here between late March and early June or between late December and early January. But the tradeoff is that you might not witness the terraces in dazzling lush green during off-season. During our August visit, only a few tourists are present. If Banaue paddy fields are bursting in bright new green, Batad fields are brown this time of the year. 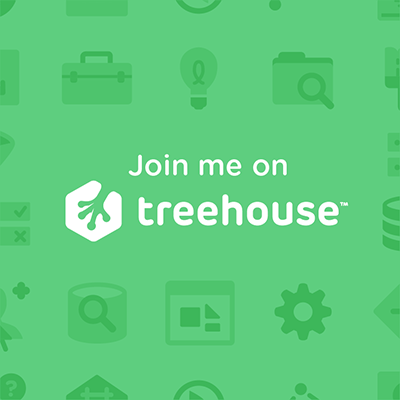 If you want the best of both sites: March wins. Typically 15°C – 25°C during the day but the weather is mostly unpredictable. It may be cool early morning and then it starts to warm towards noon. It is chilly when it suddenly rains. We went here a couple of days when typhoon Ineng struck Northwest Luzon. The weather was about 15°C early in the morning and got warmer past 9 o’clock when we started our sightseeing tour in Banaue. Contrary to expectation, it is warm but tolerable. It is all about the fresh air softly blowing that makes a huge difference. A downpour started when we arrived at the mountain saddle area, where we started hiking to Batad village. The heavy rains created what look like mini waterfalls—the rainwater streaming downslope. We were advised not to walk or stay near the side of the mountain wall because there might be some falling debris. Landslides are not uncommon, especially after consecutive days of heavy rains. What I enjoyed most was a short hike to Batad. The construction of the concrete road going to Batad village was almost done. Now it only requires around 40 minutes to an hour of hiking to its view deck from the saddle point where vehicles usually end up parking because of how steep the road gets. Many years ago, some parts of the mountain slope were shaved off with the use of dynamite to construct a road to Batad village. After the main road, you can start hiking down a narrow paved path. As you get nearer to the village, it will be a dirt path. Upon arriving in the view deck area, you will pay a heritage fee for P50++ at the Tourist Information Center. There’s an eatery there and for around P150++ you can get a decent set meal. I was a bit disappointed because there are many houses down the middle of the fields. But realized, where will the farmers live? Of course, it’s convenient if they live near to guard it — for easy access to the farms they are tending. After a satisfying lunch and after enjoying the overlooking view from the restaurant area, we resume hiking down to Batad’s paddy fields. We met a couple of tourists on their way back from Tappiya Falls, and made stops on small native huts which are built several hundred years ago and are all well-preserved. While our guide Jeffrey was sharing information, I noticed his mouth with red stains. I knew it was not bleeding gums but something he ate or chewed. Locals practice moma or betel nut chewing. It has psychoactive compounds making it a natural ‘chewable drug’ generally used as a recreational drug like nicotine, but is said to be more effective compared to cigarettes in keeping the body warm when the weather is cooler. There are a couple of houses selling handcrafted souvenirs, and we watched the artisan villagers making it. I wanted to take pictures of them and their children’s faces, but they were advised by community development professionals to no longer allow it, which I completely understand given the everyday tourist visits with cameras or phones here and there. They want to keep some privacy. Tourists usually upload and share their photos on social media sites or personal websites for their travel documentation to this charming remote village. These photos can stay for eons over the net. It rained hard in the middle of our return hike. Despite the rain, the terraces didn’t lose its grandeur. The overlooking view of the paddy fields from a restaurant was magnificent. Watching the valley getting covered with fog and combine that with the sound of rainshowers provided a pleased and tranquil mood. On the way back, we encountered some men carrying black pigs tied on slender bamboos by at least two of them. There’s probably a wedding happening tomorrow because native black pigs are part of their wedding ritual, or could be an engagement ceremony. During their wedding feast, the groom is expected to provide 10 to 12 pigs to celebrate with the entire village. We ended the day soaked in rain and exhausted from all the activities. It was suddenly evening and we had a “candlelight dinner” —not because it was planned, but there was an electricity outage. Blackouts are expected during rainy season. After enjoying a sumptuous dinner in the dark, we went ahead to the bus station to board Dangwa sleeper bus for a direct trip back to Manila. We didn’t stay for the night and in fact, our travel time was much longer than the hours spent in Banaue. It was a bit concerning when our bus didn’t show up at the bus station on time due to a minor landslide. As mentioned, landslides are likely to happen during consecutive days of heavy rain. Because of the danger it presented, we had to do a transfer ride arranged by the bus operator. We crammed inside a jeepney together with other tourists and locals in order board the bus parked a few meters from the landslide area, about 20 minutes away from the bus station. I didn’t complain. It was difficult for a big bus to pass through the narrow and steep cliff road that’s half-blocked by landslide debris. I’ve heard news of ill-fated buses that fell down a ravine a couple of years ago. One of those buses was from Florida Lines, owner of Dangwa Tranco. They are more cautious now after all the tragedies. But this shouldn’t stop you from visiting, road incidents are not always the case. It wasn’t that scary. The magnificent terraces are worth the long overnight bus rides. Ours was a short getaway, but it was such a memorable experience mainly because of the unexpected non-direct trip to Banaue, a more than 12 hour sleep-deprived travel on bumpy roads just to see this beautiful countryside in Northern Philippines. Fare is P450++. Leaves 9pm daily and arrives around 7AM. Dangwa Transport Co. (affiliate of G.V. Florida Transport) – a deluxe sleeper bus via Solano, Nueva Vizcaya. Fare is P530++. Leaves 8:45pm daily and arrives around 6am. Has toilet on board. Ohayami Trans Fare is P400++. Leaves every 9pm. A few steps from Chowking or 7/11 building, Burnham Park, Baguio City. Coda Lines (formerly KMS Lines) Fare: P415++. Leaves every 8:00am and 9:30pm. Ang magtanim ang hindi biro. Ifugao Rice Terraces, Philippines. While waiting, before boarding the bus in Pasay terminal, the next person in line started a conversation with us until our chat went about alternatives going to Baguio. He checked the vans parked just a few minutes walk outside Victory Liner Bus Terminal and said that the available ones are smaller sized, non-SUV vans and thus will be very uncomfortable for long trips. Board a bus going to either Nueva Viscaya or Vigan/La Union and stop at the bus stop station in Rosario (first town in La Union), the junction going to either straight north to Laoag or west to Nueva Vizcaya. It is where most buses stop near Jollibee so you can board another bus going to Baguio from there. From Baguio, ride another bus to Banaue. If you ride a bus to Nueva Viscaya / Tuguegarao, you need to stop at Bagabag Junction or Solano where you can take a jeepney ride to Banaue. You can also do other routes, especially if you plan to include Bontoc, Sagada and even Kalinga all in one trip — which I hope to do in my next travel to the Cordilleras. View of the road near the mountain saddle to Batad Village. Hire a Tricycle Tour Guide, especially if you are traveling solo or with one friend. Our guide offered P2,000 for the tricycle tour (breakdown: P1k for the tricycle + P1K for guide fee) that can include a tour to the viewing decks in Banaue, Batad – Patpat Sitio (sub-village) – Tappiya Falls, Mayoyao Terraces, Banaue Museum, Cambulo etc. as agreed. Wait for the Banaue to Batad public jeepney in the public market which leaves around 8:30am with the P150 fare. From Batad to Banaue, the jeepney will leave around 2pm to 3pm. If are traveling in a group or you are able to meet other tourists willing to share with the transportation costs, you can hire a private jeepney for P2,800++ roundtrip. To get to other terraces and other sites, you can commission a tricycle/van/jeepney and prices may vary based on the number of sites. Other tourists prefer not to get a guide, but I was glad we got one who shared a lot of interesting trivia about their place and their way of living. He readily answered all my questions. Batad Village on a rainy day. Great if you want to tour around Baguio for a day. Coda Lines (formerly KMS Lines) for Banaue to Baguio then Victory Liner from Baguio to Manila. From Baguio, you can take another bus going to Banaue: either Ohayami (8am or 6pm) or Coda Lines, formerly KMS Lines (6am or 9pm). Both their bus stations are located near Burnham Park, next to Chowking or 7/11 store building—a few minutes walk to the right when facing the Police Station/Tourism Information Office. how was the bus ride though? was it scary? Not at all. But on our way back to Manila, we needed to ride a jeepney to board the Dangwa sleeper bus approximately 20 min from its terminal. The bus did not park at the terminal because there was a slight landslide(not uncommon). We went there just after typhoon Ineng. But nothing really scary – mine was an adventure!